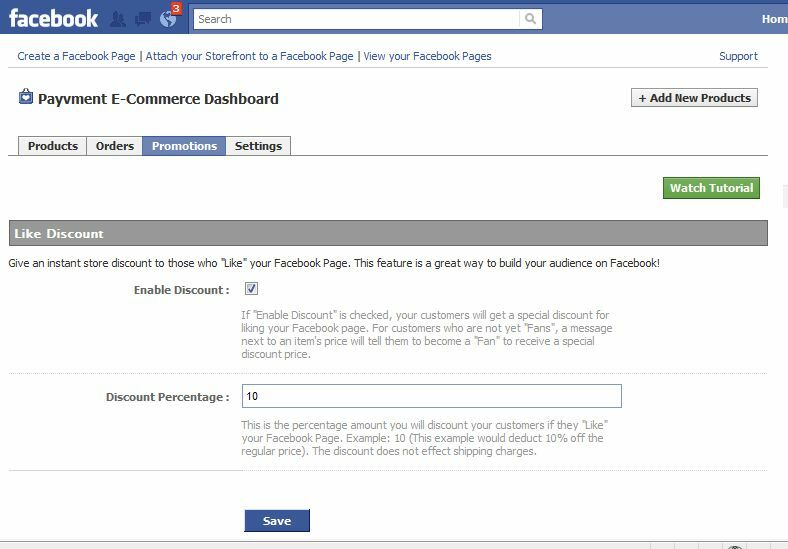 This is one for anyone that has a business page on Facebook and anyone who is a fan of purchasing on-line... is that most people?... thought it might be!! 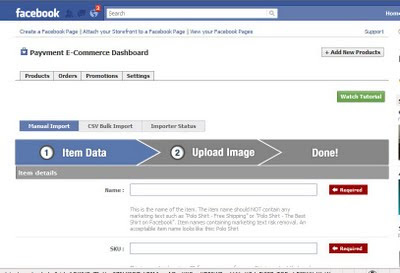 Payvment (Shop Now) is an e-commerce application for Facebook - in short - it's a completely free way of having a shop containing your items on your Facebook business page. Transactions are via your paypal account so everything is safe, secure and I have to say for both the seller and the buyer ... in my experience, ultra easy! 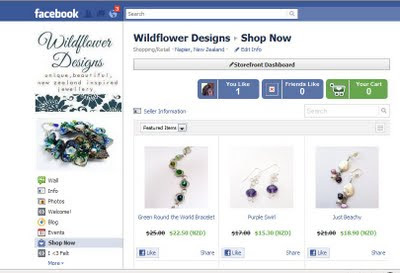 A snap shot of my shop now tab .. a work in progress it may not look like this tomorrow!! ﻿ For the seller... listing is pretty simple and you are in control of all that you would expect to be - from your product descriptions to the shipping to the photo loading. ﻿ For the buyer .. not only can you buy from shops on pages you already know with the 'shop now' tab but you can visit the payvment page on Facebook and browse the 'Mall' making purchases from different suppliers all in the one cart if you like. Now I'm not saying it's perfect .... 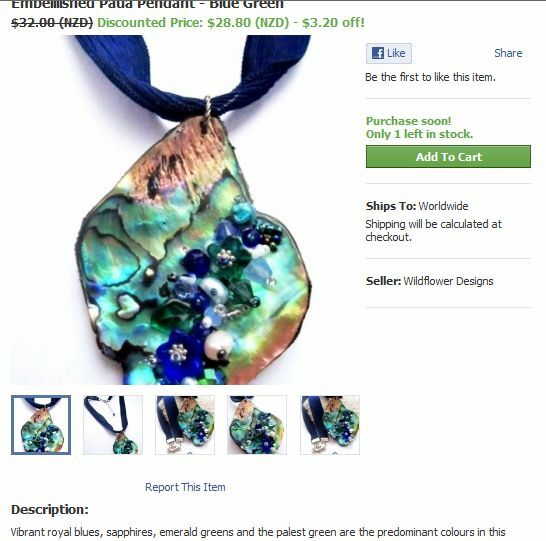 I just tried searching for my items but realised I have an incorrect setting which prevents my listings from being visible to the general searching public! You are also unable to tweek the 'look' of your shop other than featured items etc. 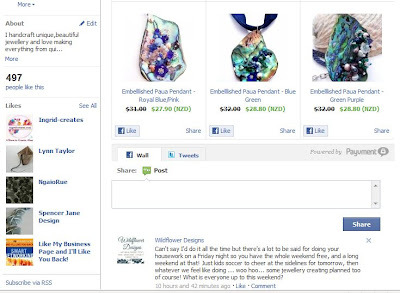 But once you get the hang of it, it is another option to consider when looking at ways to sell your creations, or from the buyers point of you ... buy from your favourite Facebook pages. 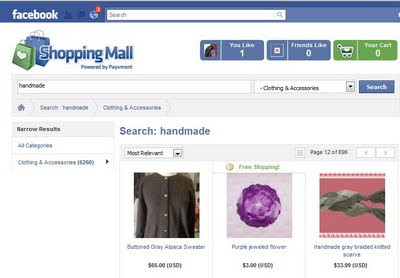 Now - for those that use 'shop now' on their pages, or have purchased from people via 'shop now' - how do/did you find it? 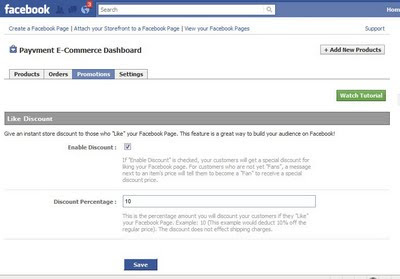 What are the fees to sell on FB? I've never heard of it before. Thanks for the heads up! This looks like a great option. I will look into it. Thanks for the heads up!